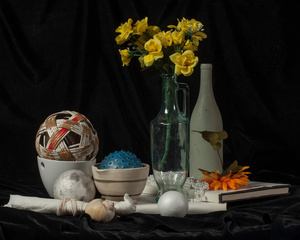 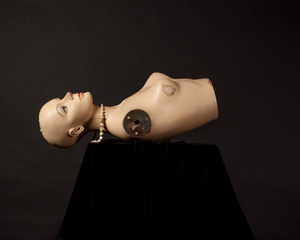 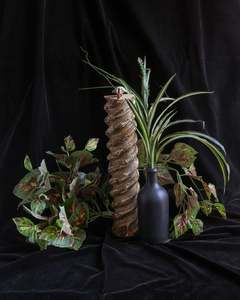 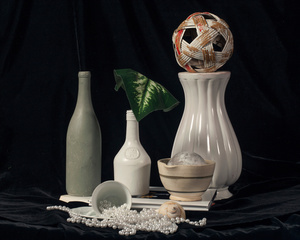 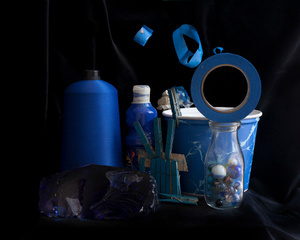 Vanitas Still Life renews my exploration of the object through photography. 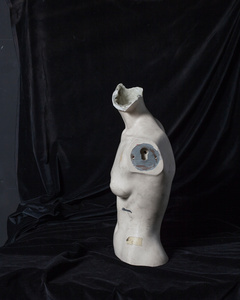 This represents a two part series from the body of work Providence Unknown. 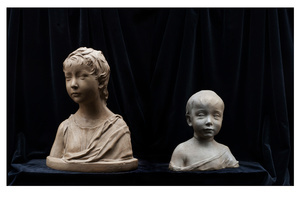 These works question issues of value, providence, and authorship. 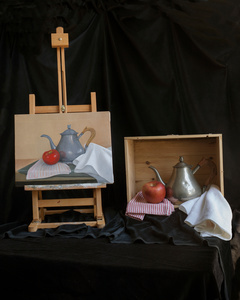 In particular Vanitas will reflect on the construction, symbolism and nature of a still life built by the contemporary artist. 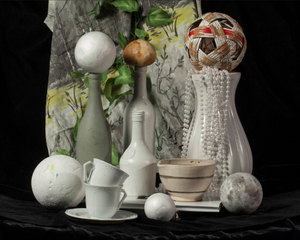 I have been working initially with the objects available through the drawing and painting prop cupboard at OCADU University. 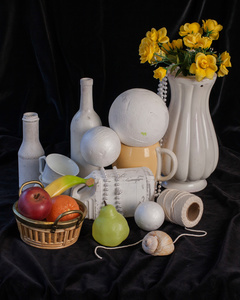 There are white cones and spheres and other common objects that are chosen for their texture and form for the purpose of students learning traditional drawing and painting skills. 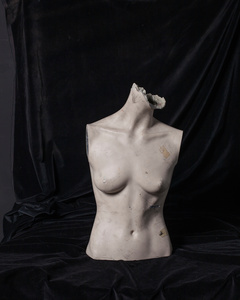 This resource is well used and rather worn and will likely be scaled back under pressures for space as the institution further embraces the digital age. 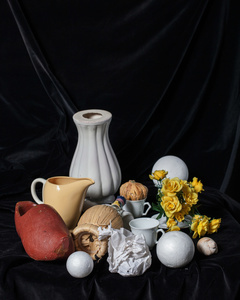 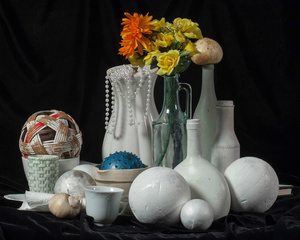 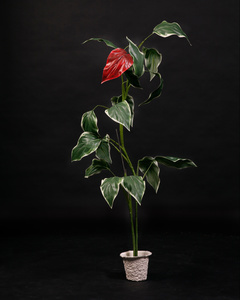 Vanitas Still lives will allude to the archive, the object, the artists hand by referencing the physical staging of still life objects with in a learning process. 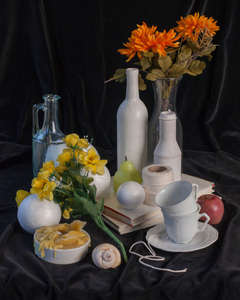 This is a work in progress as I am expanding my resources and I asked different artist to place the objects for the staging of the images. 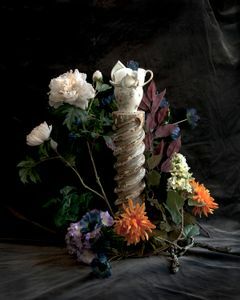 There is also a film component to this work that is available for screening on request.